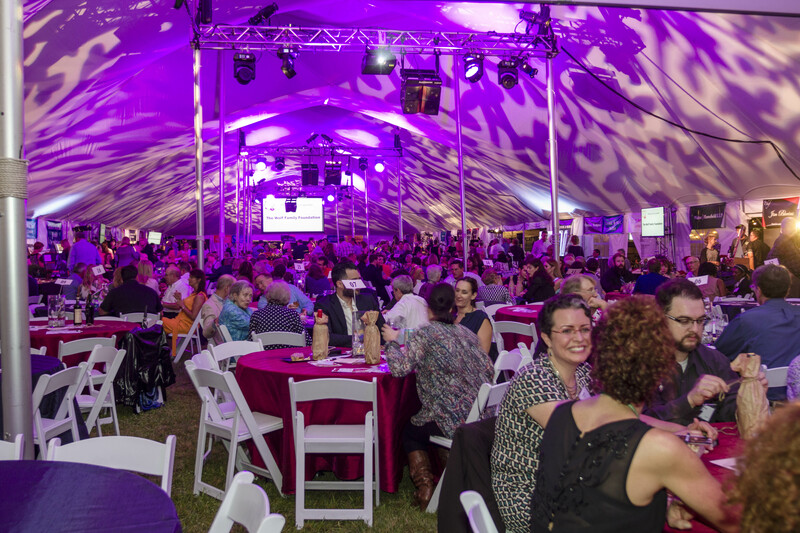 Sept. 25, 2016 — Students and miniature horses welcomed a sell-out crowd of 600 people to the 6th Annual Chefs Unbridled which raised nearly $250,000 for Fieldstone Farm and its programs for people with special needs. Hats off to all of our sponsors and Scott Kuhn and Chris Hodgson who led a diverse lineup of Cleveland-area chefs. Guests enjoyed nine amazing dinner tasting stations, food truck fare, bourbon tastings and dessert underneath a huge tent at the Chagrin Valley Hunt Club Polo Field. New additions for the 2016 event included private vintner and bourbon trail getaway packages and a popular sellout wine pull. Plans are already underway to make next year’s Chefs Unbridled another record-breaking event with a few new surprises. Thank you to the many volunteers who helped at the event and to the students who greeted our guests.